1 master bedroom with ensuite available now. 2 single rooms available. Available to view today. 12 bedroom house. 5 bathrooms. The available room is for single occupancy only. Great international filled house. Not a party house. The property is clean, and safe. The rooms are furnished and is air conditioned...which is great during the summer and winter. Everyone gets along and respects each others personal space. The rooms are private, no sharing. There are plenty of bathrooms...no waiting. Common areas are professionaly cleaned weekly. 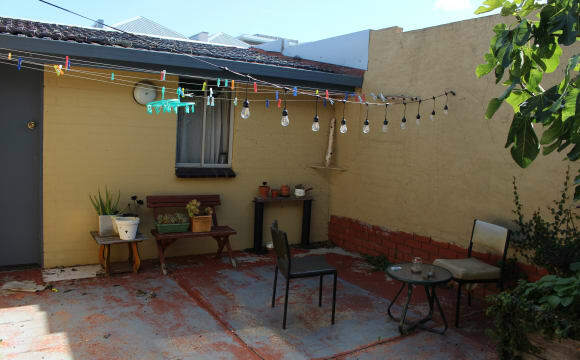 The property is real close to public transport and its about 15 minutes to Parkville campus. The property is in a safe area in popular Brunswick East. There are many cafes and shops and bars close by. All bills are included ( gas, water, electricity ) Internet is free. On Lygon street Brunswick East, close to Brunswick hotel bar , F.A.T restaurant, IGA express shop (+24 hours Coles express or Caltex Starmart for grocery or petrol fuel) tram 1 and 6 direct to City,Melbourne Uni or RMIT within 30mins. Many bar, cafe &amp; restaurants along Lygon street within walking distance. Room has direct access door to Balcony, Own bathroom (not ensuite) access from kitchen. The bedroom is on level 4 facing Lygon Street view (as seen in photos). I have a few boxes to unpack. Potential noise mitigated (but with good quality noise filtered glass door). All white goods are included that why its mostly (partly) furnished. Other furniture in bedroom with built in Wardrobe (e.g. double bedframe, mattress,2 bedsides etc available upon request). Shorter timeframe stay rent could be higher and additional furniture available for purchase or hire if requested. Unlimited data download/upload via NBN up to 45Mbps internet. Foxtel (minipack or on Demand) and Fetch mini available at fee at living area. 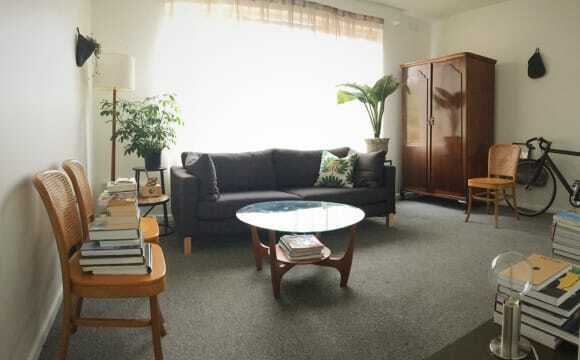 Air conditioner in the living room, laundry, dryer, dishwasher, oven and microwave available (either privately owned or come with the apartment). Private rooms for Single or Double occupancy. . Situated in a quiet street with its mix of period style Californian bungalows and other more contemporary homes, this house is only 5 years old. The building boasts large overhanging eaves and a spacious verandah. It’s a short walk away from the eclectic mix of the Nicholson Street shops, where a dozen or more different cultures blend seamlessly. . This is a great place for shoppers, and bargain hunters, or just to sit and experience good food, good coffee and watch and enjoy the passing parade of diversity. . This house offers the below rooms. Call now to see what is available! . - Room 1 – Executive Single (maximum 1 guest) from $310 - Room 2 – Executive Single (maximum 1 guest) from $310 - Room 3 – Executive Single (maximum 1 guest) from $310 - Room 4 – Executive Single (maximum 1 guest) from $310 - Room 5 – Executive Single (maximum 1 guest) from $310 - Room 6 – Ambassador (maximum 2 guests) from $475 - Room 7 – Executive Single (maximum 1 guest) from $310 - Room 8 – Executive Single (maximum 1 guest) from $310 - Room 9 - Executive Single (maximum 1 guest) from $310 - Room 10 - Executive Single (maximum 1 guest) from $310 - Room 11 - Executive Single (maximum 1 guest) from $310 - Room 12 - Executive Single (maximum 1 guest) from $310 . INCLUSIONS . Our properties provide apartment house accommodation on a private room-by-room basis with shared state of the art kitchen, dining and lounge facilities. 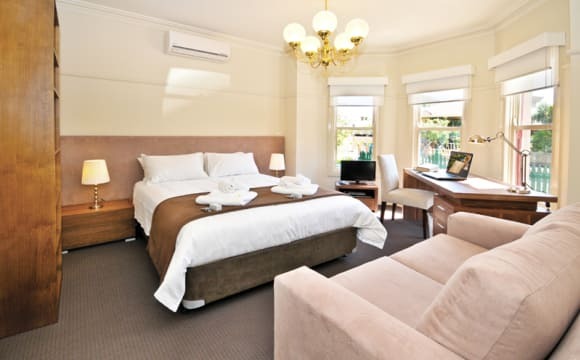 Rooms are generously sized, fully furnished, lockable &amp; include bed linen &amp; towels. Professional cleaners clean all the communal areas once a week. . Rates include all bills (water, gas and electricity), all furniture including home wares, dishwashing soaps, sanitary requirements &amp; laundry facilities. Wireless Internet access is also available for a fee. . CALL our reservations team NOW to enquire, to inspect or make arrangements to secure your booking online. Private rooms for Single or Double occupancy. . Situated in a quiet street with its mix of period style Californian bungalows and other more contemporary homes, this house is only 5 years old. The building boasts large overhanging eaves and a spacious verandah. . It is a short walk away from the eclectic mix of the Nicholson Street shops, where a dozen or more different cultures blend seamlessly. This is a great place for shoppers, and bargain hunters, or just to sit and experience good food, good coffee and watch and enjoy the passing parade of diversity. . This house offers the below rooms. Call now to see what is available! . - Room 1 â€“ Executive Single (maximum 1 guest) from $320 - Room 2 â€“ Executive Single (maximum 1 guest) from $320 - Room 3 â€“ Executive Single (maximum 1 guest) from $320 - Room 4 â€“ Executive Single (maximum 1 guest) from $320 - Room 5 â€“ Executive Single (maximum 1 guest) from $320 - Room 6 â€“ Ambassador (maximum 2 guests) from $450 - Room 7 â€“ Executive Single (maximum 1 guest) from $320 - Room 8 â€“ Executive Single (maximum 1 guest) from $320 - Room 9 - Executive Single (maximum 1 guest) from $320 - Room 10 - Executive Single (maximum 1 guest) from $320 - Room 11 - Executive Single (maximum 1 guest) from $320 - Room 12 - Executive Single (maximum 1 guest) from $320 . HOUSEMATES . Our housemates are a wide range of people from professional backgrounds mostly between 22-40 years of age. Typical residents are overseas, inter and intrastate visitors, corporate and career professionals, academics, post and undergraduates (3rd year and over), trainees, language students, doctors, nurses, teachers and other specialists or people who are re-establishing a home and life in Melbourne. . INCLUSIONS . Our properties provide apartment house accommodation on a private room-by-room basis with shared state of the art kitchen, dining and lounge facilities. 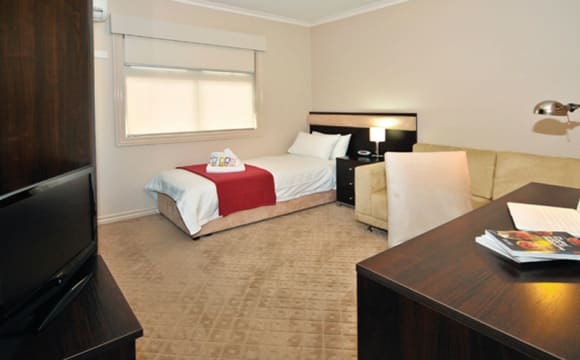 Rooms are generously sized, fully furnished, lockable &amp; include bed linen &amp; towels. Professional cleaners clean all the communal areas once a week. . Rates include all bills (water, gas and electricity), all furniture including home wares, dishwashing soaps, sanitary requirements &amp; laundry facilities. Wireless Internet access is also available for a fee. . CALL our reservations team NOW to enquire, to inspect or make arrangements to secure your booking online. THE HOUSE it is a large, bright and beautiful fully furnished house on John st between Lygon st and Nicholson st. It has a big living and meals area, 6 bedrooms and 3 bathrooms, fully equipped kitchen, big TV area, laundry and a sunny North facing backyard with alfresco furniture and BBQ facilities. . THE LOCATION is great, close to all shops, bars/restaurants and public transport that lygon and Nicholson st have. Trams 1, 8 and 96 are just afew meters away and will take you to the city in 15 - 20 minutes. . • 2 minutes walking to Nicholson street • 5 minutes walking to Lygon street . 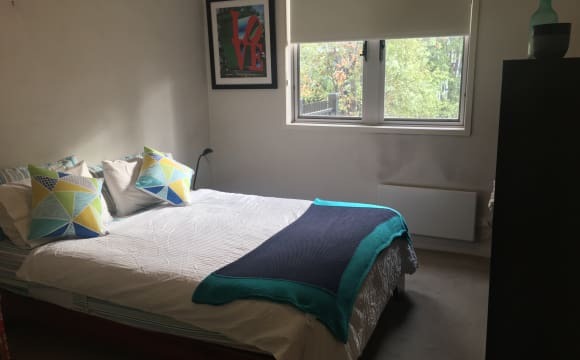 THE ROOMS are very spacious and sunny and include Queen bed or twin share, side tables, Lamps, Desk, Chair, Door locks , Storage space and 50 Inc Flat Screen TV. . HOUSEMATES . Our housemates are a wide range of people from professional backgrounds mostly between 22-40 years of age. Typical residents are overseas, inter and intrastate visitors, corporate and career professionals, academics, post and undergraduates (3rd year and over), trainees, language students, doctors, nurses, teachers and other specialists or people who are re-establishing a home and life in Melbourne. . INCLUSIONS . Our properties provide apartment house accommodation on a private room-by-room basis with shared state of the art kitchen, dining and lounge facilities. 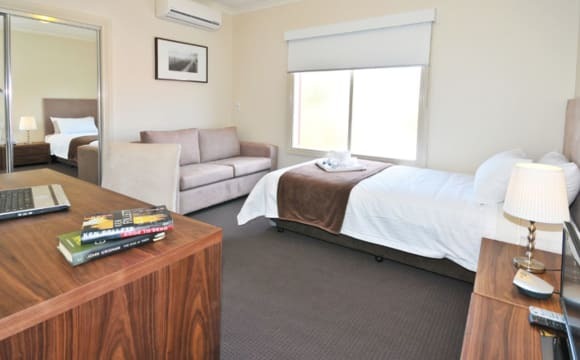 Rooms are generously sized, fully furnished, lockable, include bed linen &amp; towels. . Rates include all bills (water, gas and electricity), all furniture including home wares, dishwashing soaps, sanitary requirements ; laundry facilities. Wireless Internet access is also available . CALL our reservations team NOW to enquire, to inspect or make arrangements to secure your booking online. The room is available from about May 5th, potentially sooner. My home is a great 70s style apartment that I have furnished with a bit of old and new furniture and a bunch of pot plants. Kitchen and bathroom are basic but functional. 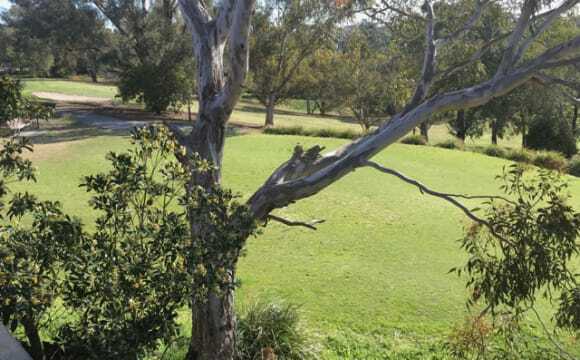 The place is in a nice spot on a quiet suburban street but only a couple of minutes walk to Lygon and Nicholson Street restaurants, cafes, shops and trams, plus it is close the the Capital City bike trail and Merri Creek and the top end of the Canning and Rathdowne Street bike lanes. There is untimed street parking. A spacious house with a Mediterranean vibe (picture archways, red tiles and a cute backyard with a big fig tree). There are 4 bedrooms, a large kitchen and living area, 1 large bathroom and a separate 2nd toilet/laundry. The house is fully furnished with a dishwasher, large tv, two fridges, washing machine. We have an amusingly bougie bathroom with a giant spa (doesn't work) and a bidet (fully functional!). 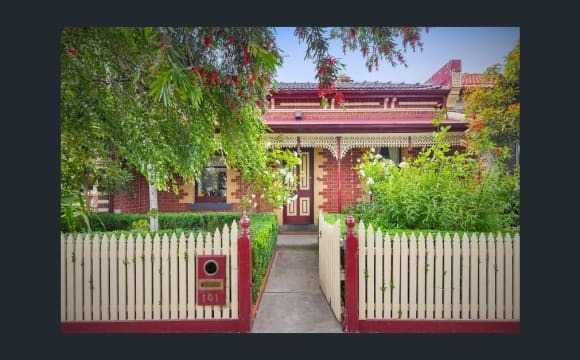 The house is in an amazing location on a quiet street just off Lygon st, 1 minute from the 1 and 6 trams, heaps of cafes, restaurants, and bars and a short walk to Ceres and the Merri Creek trail. A garage parking space is also available! Large enough for 1x car + bikes and storage. The bedroom available is 3.4 x 3.7 and will be unfurnished. However, the existing bed and desk are for sale. Rent is paid PCM in advance at $819. We are on a lease until August 2019 with the intention to extend for another year, so are looking for someone who would like to stay long-term. Sorry, we are not accepting smokers and (very unfortunately) one of us is allergic to pet fur so we cannot accept pets either. It's a beautiful and extremely spacious townhouse. Split across 3 levels we have your room on the ground level. The kitchen, lounge and entertainment areas are on the 1st level and a third ensuite room on the 2nd level. At a 10 min Tram ride's distance to Melbourne CBD. 2 min walk to Tram line on Nicholson Street and 3 min walk to Bus Stop on Blyth Street. You can probably tell from the sizes in the images that it's much bigger than most properties in the area. Comes with a queen bed and a side table. $320/week for singles and $340/week for couples. Lots of inner colony parking available right outside the house. Enjoy a luxurious shower over bath in a spacious bathroom. All singles and couples are welcome. ALL BILLS INCLUDED, the room has built in wardrobes, heating, queen bed and a side table. Looking forward to seeing you soon. 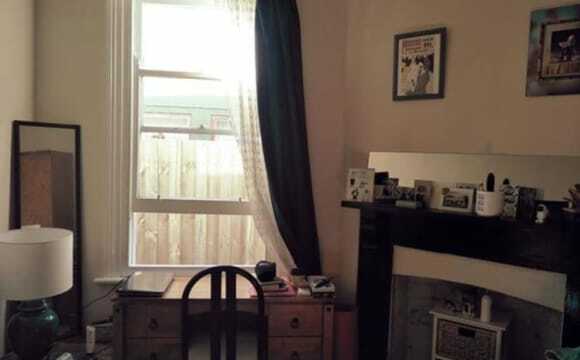 Wonderful 3 bedroom Victorian semi detached house in Brunswick East. There are polished floor boards throughout and the house also has gas heating, gas stove, reverse cycle air-conditioning and dishwasher. Beautiful cosy rear garden with deck to soak up the sun. 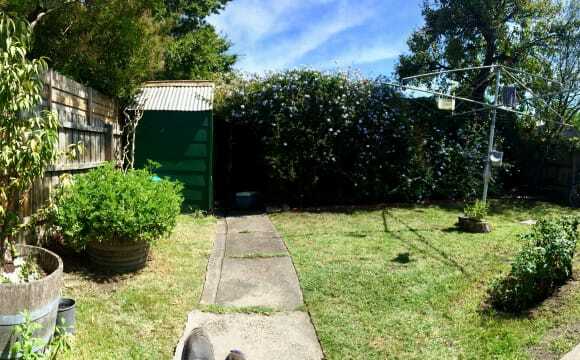 In general it is a fantastic standard house and garden and just around the corner from Lygon Street. 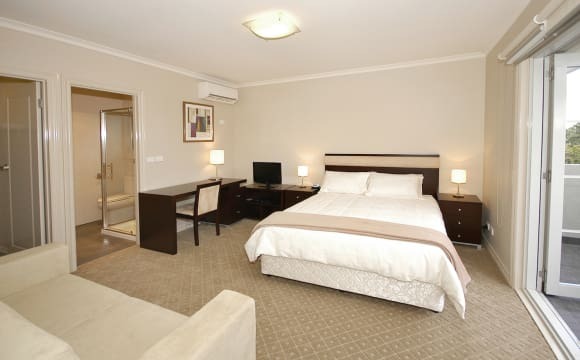 Room for rent is a large double room with considerably large built in robes. We are a guy and a girl in their late 30's who are looking for a considerate and relaxed housemate in their 30's with an easy going personality, who is a non-smoker and working full time. 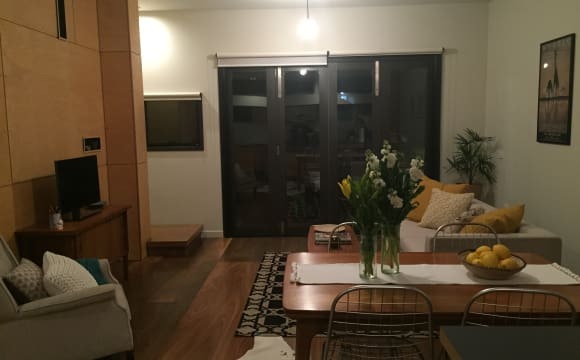 Monthly rent inclusive of bills is $1185 (actual property rent is $1021) and includes gas, electricity, water, internet, shared netflix, fortnightly cleaner as well as communal household items. Bond is $1430. Available from 1st May, however there is flexibility with outgoing housemate around the move in date. AVAILABLE MAY &amp; JUNE No couples thanks :) ...A short term flexible lease, in a quiet and modern secure apartment block, with all essentials included. You will be living in the heart of Brunswick East - Just off Lygon Street, with the Tram stop 1 &amp; 6 on the door step - a 15 minute ride to CBD. Surrounded by cafes, shops, bars, restaurants, beautiful parks &amp; great cycle tracks. A shopping complex with supermarkets at the end of the road. A great balcony with City skyline views. Hello! We have 2 rooms available in our 3 bedroom East Brunswick home available from May 6. Super convenient spot being on Nicholson street, the 96 tram stop is at our driveway, close to CERES and the Merri Creek, as well as plenty of restaurants and places to booze. The rooms available are the 2 large sized rooms, each 3.6m x 3.6m near the front of the house. High ceilings, blue carpet - it has everything. The front room has 2 small windows for all your easterly sun in the mornings, and the middle room has a large north facing window for all of the sunshine. It can fit a queen sized bed and all of your usual bedroom needs very comfortably. The sounds of Nicholson street can be a little noisy sometimes, so perhaps light sleepers mightn't find it ideal. Great house in a great location. Walking distance to the 96 tram, cafes and CERES. Really good balcony , perfect for summer. Our townhouse is a spacious comfortable place. It has central heating and air-conditioning in the living area. Has a great kitchen in an open floor plan. It has a little backyard for bbqs when the weather is warmer. We are close to trams 96, 1 and 6. The area is great with plenty of cafes, restaurants and bars around. We are only 25 min to the city. We are 2 in the house, myself and my 5yo son, although he spends few days a week with his dad. This is a really good place to improve your English, know new people from everywhere and organise different things with them! There is a WhatsApp and Facebook group for the house. The cleaning is done everyday by a company and it’s included in the price. This 2-story treehouse townhouse overlooks a golf course, and with a gorgeous little courtyard It's really peaceful, whilst being close to all the good stuff Northside living has to offer. 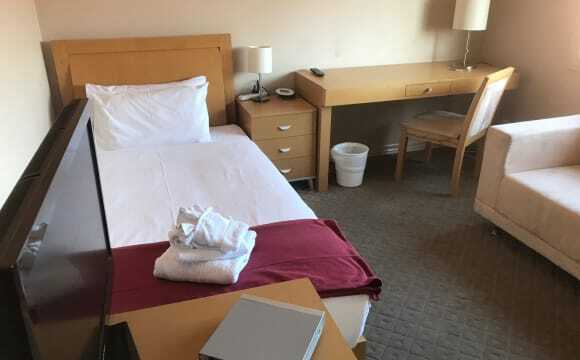 We have air con/heating, a strong internet connection and plenty of space to share comfortably with another individual. There's a 2nd toilet next to the laundry room. There's also a storage loft with some available space in it if needed. Walking distance to trams and cycle track on St. Georges Rd, and a hop, skip &amp; a jump to Merri Creek Trail &amp; CERES. Hello future housemate, We are two kind and creative females seeking a warm, positive, grounded, constructive, pro active, honest and considerate housemate to join our family. We would like someone long term who wants to contribute and make our house feel like home. OUR HOME: Is a cute and cosy older style detached terrace house with loads of character. 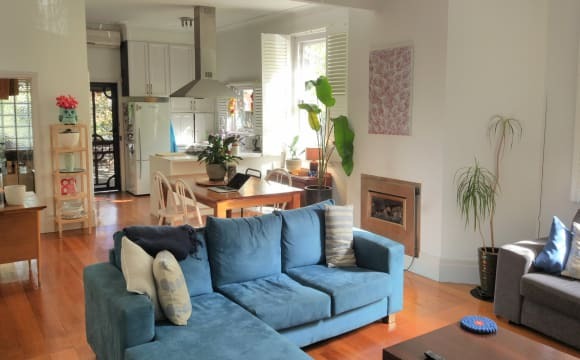 Situated within a 5 minute walking distance from the 96 tram stop (approx 20 mins to the CBD), a short 10 mins walk to 11 trams on Saint Georges Road (appox 5 mins to Fitzroy), buses inter connecting to Northcote and to Brunswick, TT Mart, IGA, countless cafe's, close walking distance to Edinburgh gardens, close to Ceres and Merri Creek, loads of bike tracks, Free street parking and the neighborhood is very family orientated. House is furnished but we are able to be accommodating, you're welcome to bring additional pieces of furniture, art/ paintings, rugs, plants, plus if you are a green thumb, environmentally aware. There is a cute living area next to the sunroom with a gas heater for those chilly nights. A large communal kitchen space, with utilities, fridge and gas appliances. Laundry with washing machine. A small bathroom with bath, with separate shower, with a good amount of pressure and an out door loo, this is the ONLY toilet. A beautiful garden bed, you are more than welcome to contribute, with an under cover area for relaxation and meditation! THE ROOM. Lovely light filled room, big enough to fit a double bed, a wardrobe, book shelf, chest of drawers comfortably. The room has hardwood floorboards, high ceilings, ceiling rose and a window. Going to be unfurnished but there could be a potential wardrobe and desk if needed otherwise the rest of the room will be unfurnished. IMPORTANT INFOMATION. Sorry no couples Queer friendly prefer 35 up. House trained, able to use initiative regards to the up keep of communal areas, clean as you go types, able to contribute to household products and to our home. MUST be okay living with a cat. Stable income sorry no centrelink as source of income or travellers. Additional info: You will need to get approved by the real estate agent: they request correct income/ past rental history, as your name will need to be on the lease. All bills are split evenly gas, water and electricity, internet $20 is included in with the rent. Small back area. Close to tram lines 96 and 1/6. Unlimited NBN. Unit is furnished, you just need items for the room. 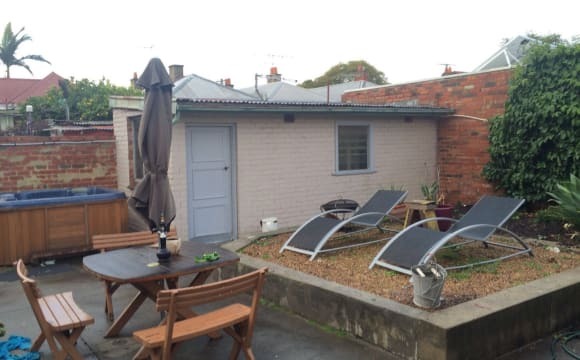 Spacious and bright double room for rent in a new townhouse in Northcote, with big French window, built-in wardrobe, new bed, mattress, and a lovely backyard. Large bathroom to be shared with a nice and tidy roomie. Great and Convenient location - 3 mins walk to the tram station which takes you to City in 20 mins; 7 mins walk to train station (South Morang/City Line); 10 mins walk to Northcote Plaza where you have access to Aldi, Coles, Kmart and so on that meet your shopping needs. Let alone all the fancy restaurants and boutique stores on the popular High Street (also 10 mins walk)! - Everything is within reach. $250 per week, with bills shared among 3. Non-smoking, clean and tidy tenant who is committed to a long-term stay is welcomed. Please contact Henry for more detail and inspection. 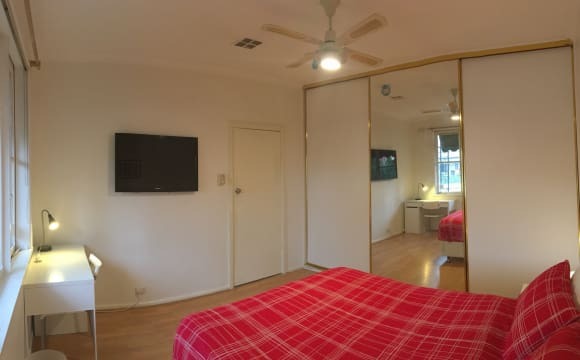 Bright, north-facing and newly-furnished single room in the heart of Northcote for rent. Spacious wardrobe and central heating are available. Great and Convenient location - 3 mins walk to tram station which takes you to City in 20 mins; 7 mins walk to train station (South Morang/City Line); 10 mins walk to Northcote Plaza where you have access to Aldi, Coles, Kmart and so on that meet your shopping needs. Let alone all the fancy restaurants and boutique stores on the iconic High Street (also 10 mins walk)! - Everything is within reach. $230 per week, with bills shared among 3. Non-smoking, clean and tidy tenant who is committed to a long-term stay is welcomed. Please contact Henry for more detail and inspection. THE HOUSE is lovely, recently renovated with 12 bedrooms and 4 bathrooms. Has a beautiful kitchen with all facilities and a nice &amp; cozy outdoor area with BBQ. . All rooms come Fully furnished with Flat screen TVS, Independent heating &amp; cooling (split systems). . THE LOCATION is awesome! The city is just five kilometres away, and a 10-15minute tram ride from the heart of Melbourne’s CBD. 600 metres from Sydney Road which leads into Royal Parade, with its expansive parklands and access to the University of Melbourne and Royal Melbourne Hospital . INCLUSIONS . Our properties provide apartment house accommodation on a private room-by-room basis with shared state of the art kitchen, dining and lounge facilities. Rooms are generously sized, fully furnished, lockable &amp; include bed linen &amp; towels. Professional cleaners clean all the communal areas once or twice a week. . Rates include all bills (water, gas and electricity), all furniture including home wares &amp; laundry facilities. Wireless Internet access is also available. Private rooms for Single or Double occupancy. . This is a character-filled, Victorian replicated property, sporting a large bay window, ornate ceiling rosettes, picture rails, high skirting boards and timber floors and a filigree wrought iron balustrade across the first floor balcony. All this is combined with the modern conveniences of the 21st century, including plenty of parking. . The property sits in a culturally diverse and stimulating environment, within walking distance to an eclectic shopping and restaurant district and public transport. . This house offers the below rooms. Call now to see what is available! . - Room 1 â€“ Executive Single (maximum 1 guest) from $320 - Room 2 â€“ Executive Single (maximum 1 guest) from $320 - Room 3 â€“ Ambassador (maximum 2 guests) from $450 - Room 4 â€“ Executive Single (maximum 1 guest) from $320 - Room 5 â€“ Executive Single (maximum 1 guest) from $320 - Room 6 â€“ Ambassador (maximum 2 guests) from $475 - Room 7 â€“ Executive Single (maximum 1 guest) from $320 - Room 8 â€“ Executive Single (maximum 1 guest) from $320 - Room 9 - Executive Single (maximum 1 guest) from $320 - Room 10 - Executive Single (maximum 1 guest) from $320 - Room 11 - Executive Single (maximum 1 guest) from $320 - Room 12 - Executive Single (maximum 1 guest) from $320 . HOUSEMATES . Our housemates are a wide range of people from professional backgrounds mostly between 22-40 years of age. Typical residents are overseas, inter and intrastate visitors, corporate and career professionals, academics, post and undergraduates (3rd year and over), trainees, language students, doctors, nurses, teachers and other specialists or people who are re-establishing a home and life in Melbourne. . INCLUSIONS . Our properties provide apartment house accommodation on a private room-by-room basis with shared state of the art kitchen, dining and lounge facilities. Rooms are generously sized, fully furnished, lockable &amp; include bed linen &amp; towels. Professional cleaners clean all the communal areas once a week. . Rates include all bills (water, gas and electricity), all furniture including home wares, dishwashing soaps, sanitary requirements &amp; laundry facilities. Wireless Internet access is also available for a fee. . CALL our reservations team NOW to enquire, to inspect or make arrangements to secure your booking online. Situated only a short tram ride away from the CBD, with a tram stop literally at the front door and surrounded by beautiful parks and shops. Within 300 meters there are grocery stores, cafes, bakery, bottle shop and restaurants. Apart from the obvious benefits of the awesome location, this house has so much to offer in terms of spaces. Multiple living areas including the loft right next to your room and a decent sized balcony for entertaining. The bedroom on offer is very generous and has loads of storage. There is also a spare bedroom that we intend to make available to our friends and family to visit us on occasion. Let us know if you want to get involved in having that for your guests as well and we can work something out. Be aware that we do not get access to the property until the 9th of May, so no matter how keen you are, we cant offer an inspection prior to that. *Note - the photos are from the real estate ad, so not an exact representation of the decor. 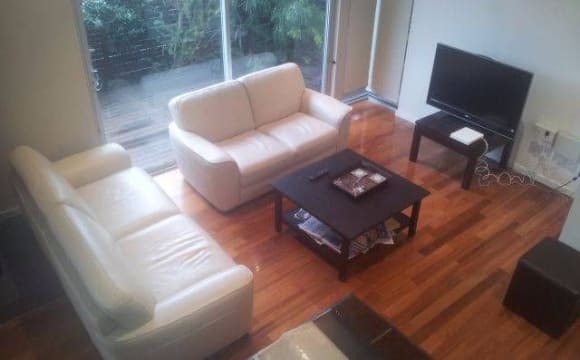 My fully furnished and homely flat is located in a quiet but central area in the inner north. 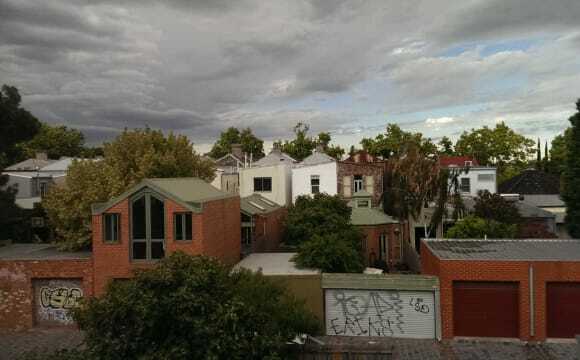 It's close to Merri Creek and the popular suburbs of Fitzroy, Carlton, Brunswick and Northcote. The flat is located on the top floor of a block of apartments set off the street overlooking a leafy neighbourhood. It's well connected by public transport with trams 11 and 96 just a short walk away. We've just been accepted into this amazing house, we move in on the 29/3 and are seeking a third (preferably male, 30+) to join us. The real estate pics are the actual house, and the other pics are of my old place to get a feel for our decorating style. The location is ideal, right in the heart of Brunswick. The house is filled with natural light, 3 living zones and a nice courtyard out back. We will be decking it our with house plants and character. Check out the following of my previous house to get a feel for our vibe. https://www.realestate.com.au/lifestyle/in-my-place-with-designer-haylee-magendans/. I have a large upstairs room available for a couple in my 2 bedroom 2 bathroom house in a great location to share with myself and a small adorable dog (King Charles cavalier). The room is 4.8m x 3.2m, has an ensuite bathroom, AC and built in wardrobe and will be unfurnished. If you have additional household furniture that would be a bonus as my housemates are taking most of the furniture with them. My backup plan is to scour the op shops for some amazing bargains! The living area is open plan kitchen with dishwasher and modern appliances. The house has central heating and a reverse cycle AC in the living area. There is a small low maintenance courtyard at the back and front of the house. The location is central to the route 11 and 96 trams both within a 5 minute walk and only a 10 minute walk to Rushall station. This is a beautiful and modern converted heritage listed warehouse building. It is well insulated and bright, with two massive skylights above the open-kitchen and living room area, and ensuite bathrooms for each bedroom. - Fully furnished apartment. - Washing machine, dishwasher and TV. - Accessible via elevator and stairs - Very secure building (code or swipe key entry only). - Number 11 Tram stop 100m from the appartement which goes straight into the city. - 10 min walk to high street which has great cafes, gyms and shopping You will be living with myself, a school teacher. I keep a pretty regular schedule between work and sporting commitments during the week. I play footy most Sundays but love wine with dinner and on the weekends. And Simone, who is doing her Masters at Uni of Melbourne and works in disability support. We love having a clean and chilled house to come home to, but socialise and chat over a tea or wine. Mari is leaving us to travel and head back to Norway until the end of October, but may extend that to leavin for good. This lease would be for the five and a half months with the possibility of extending. We are loooking for someone who will help us keep the place a lovely place to be, who will fit in with our schedules (shift work probably won’t work), who is proactive about keeping the place clean and who gets along with the two of us! 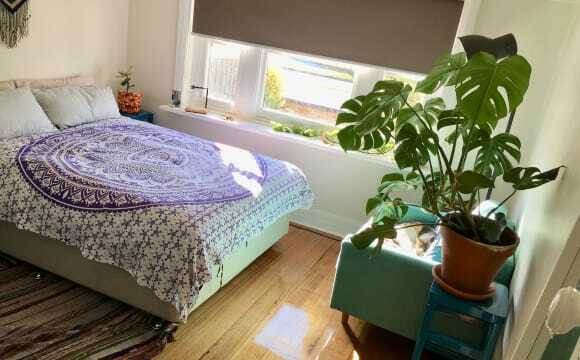 Bright queen room in a beautiful house located in Brunswick. The house has just been renovated, it is spacious with lots of living room space, a big bathroom and a backyard/garden. It is very close to trams, buses and train station to take you anywhere in town. The house has air conditioning, heater, is fully equipped and also loads of spots for car parking. The area is very convenient. 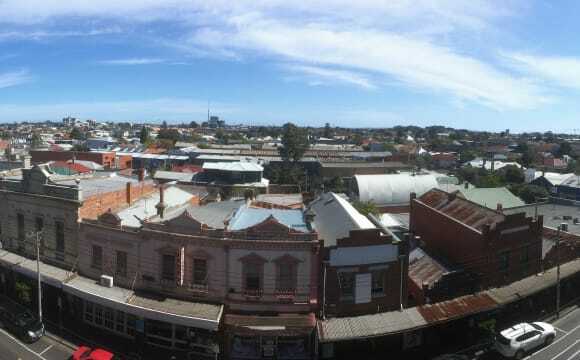 It is a calm residential area, but also pretty close to markets, Aldi, Woolworths, beautiful cafes and pubs. The price is $370 p/w including bills. You will be sharing the house only with one person!